94 West Main Street Webster, NY. | MLS# R1183166 | Homes for Sale in the Rochester Area. Get the personalized one on one service you deserve. 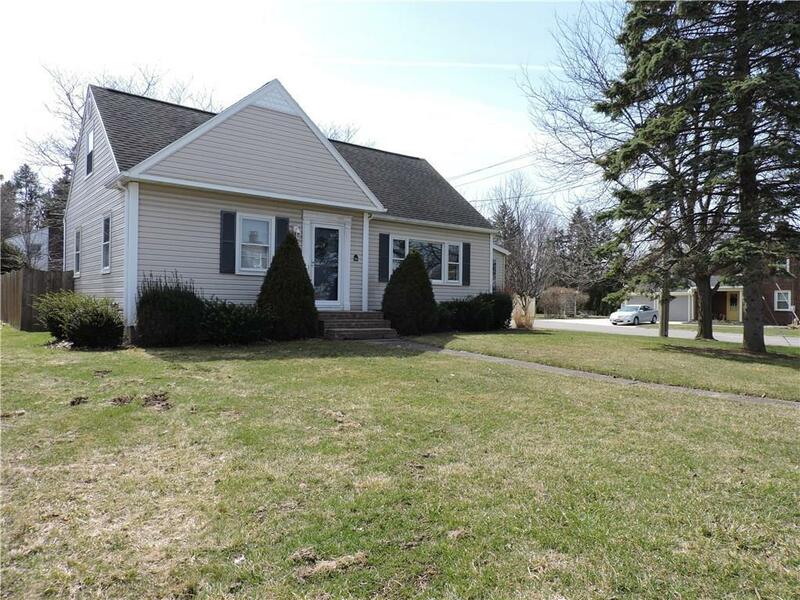 This Webster Village gem will charm & surprise you! Loads of space inside & out! From the sun porch to the partially finished basement, you will be amazed at the space this lovely home affords! 4 beds/2 full baths-master bdrm w/attached full bath! Attached 2 car garage! Huge rear yard is privacy fenced, has a patio & hot tub (neg) Room for a pool/play set/soccer/lacrosse/volleyball net & maybe a trampoline! Lovely plantings, incl pear tree & peonies! Village living provides accessibility, convenience & FUN! Walk/bike/run to everything! Put those lawn chairs right in your own front yard for upcoming Memorial Day & 4th of July parades! Central AC, new boiler in 2013, new refrigerator, newer dishwasher, and washer/dryer STAY! Professionally finished bonus space in basement!